One of our absolute favourite memories are with the Latvians. The Latvians participating at the Garage48 Hardware & Arts hackathons over the years, to be exact. Be it a peeing robot, an interactive shots tray with programmable lights or an air filter / bubble helmet - it all can be delivered in 48 hours thanks to these geniuses! 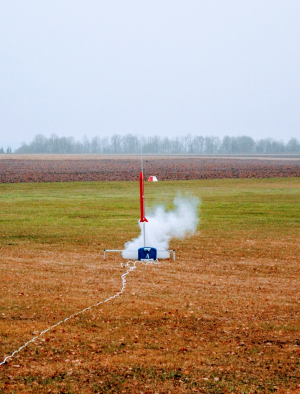 Indeed, the hacker group from Latvia may build funny-sounding prototypes, but they do work! So forget "Estonian Mafia", it's all about the "Crazy Latvians" at our physical prototyping hackathon, the Garage48 Hadrware & Arts! You have participated Garage48 Hardware & Arts hackathons for three years and every year you have made a great prototype - where are the prototypes now and/or have you developed them further? Andrejs: Peeing robot lived short but bright life. He selflessly donated his parts to small and vulnerable gadgets during tough times. "Drinking robot" in spite of his unhealthy occupation is not retired but making prosperous career as MC (master of ceremonies). Particularly mentionable is opening ceremony of RIGACOMM 2016 exhibition. The remaining time he spend serene life in MAKE RIGA hacker space telling stories about good old days of Garage48. 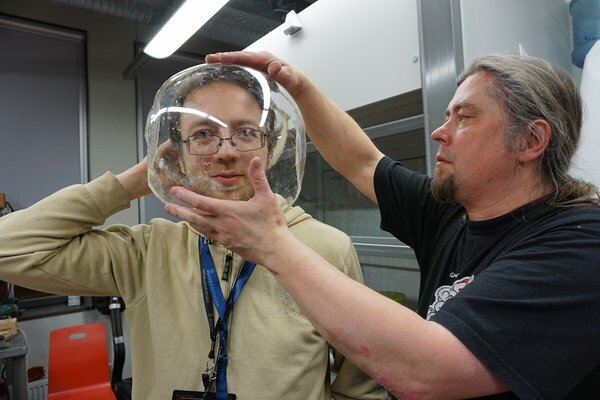 Helmet from classified SMUBBLE project is available to try at MAKE RIGA hacker space (authorized persons only). First two years you have won the prize for The Best Technology. The title sounds quite serious but you have won this prize for very humorous projects: a peeing-messaging robot and an interactive tray for shots with programmable lights with a robotic element. How important it is for you to show it is cool to develop funny things with high level technology? Andrejs: Garage48 is sort of Olympics. Special kind of Olympics for engineering and it is important to show all your skills. Winning in a such event is a good "door opener" for further job and project opportunities. And of course, you will need very good team. That makes a difference between winning or not. Have you got good contacts from Garage48 Hardware & Arts events? If then what kind of? Andrejs: Yes. We have worked with former team mates on a few projects outside Garage48. JDat: I meet lot of good friends in Garage48. Do you have any wonderful memories from past events you would like to share? 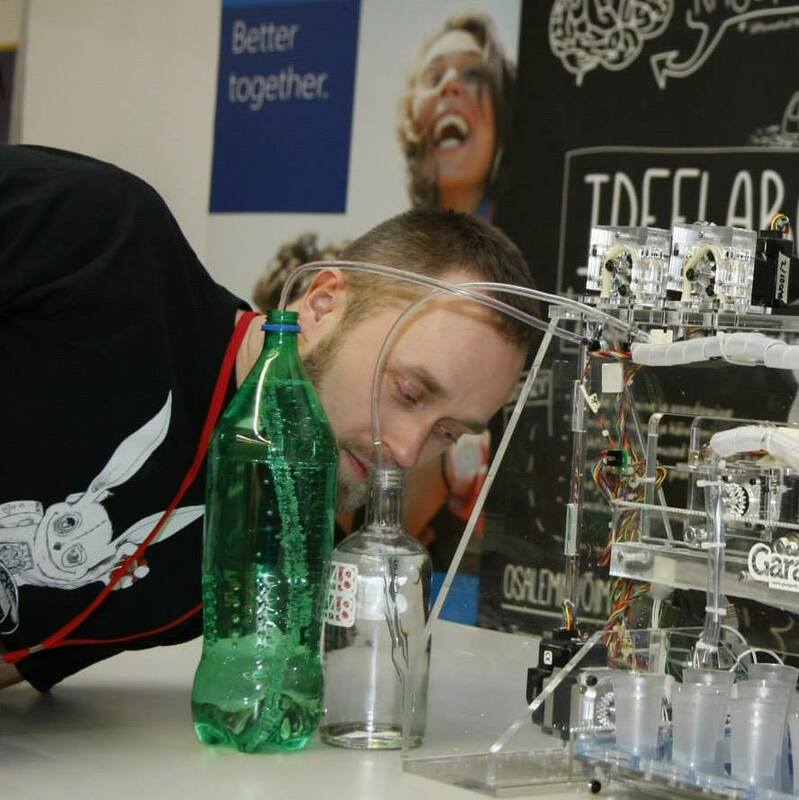 Andrejs: For me the best memories are about building the "Drinking robot". We have a super cool team where everybody knows what to do. it was extreme satisfaction when all parts came together and the whole thing actually works. And of course I cant forget Priit. JDat: On 2015 (Liquid Light) I worked all night form Saturday to Sunday and after breakfast I went to sleep. Under the table. I sleep like boss while team members started robot's final assembly. I remember Raspberry Pi girl, who was exited about tray's interactivity. That video was posted on Raspberry Pi twitter. Are you coming this year as well? What are your expectations for this year? Andrejs: Yes! We are coming. Do you have any advice for those who are participating Garage48 Hardware & Arts for the first time? Andrejs: The most important advice - be prepared! Not only mentally but also technically. Take with you your instruments, parts, modules, just cool items like lasers, roentgen tubes, small airplane engines (you are free to continue). You will never know what could be useful and possibility that you will need exactly that part of hardware that was sitting in a dusted box for years is extremely high. The second advice - make it just good enough! It means just make a working thing, don't go deep into optimization and fine tuning. And the most important - have a fun! JDat: If you are electronic geek, than take with you some sensors (accelerometers, gyros, therm sensors, GPS etc). What exciting projects are you involved in otherwise - I mean everyday work and hobbies. Andrejs: Usually we have a boring life in a office making weird things and projects covered with NDA. Since job is hobby and hobby is job there is very little left to other hobbies. But it is always good time to play with some art projects, obsolete technologies or rocket science. Andrejs: It sounds as good as "Estonian mafia"! The Garage48 Hardware & Arts 2017 hackathon will be happening on the 17-19th of Feb in Tartu, Estonia. Follow the event on Facebook and on Twitter.